Three singles seem like sure things in this category. 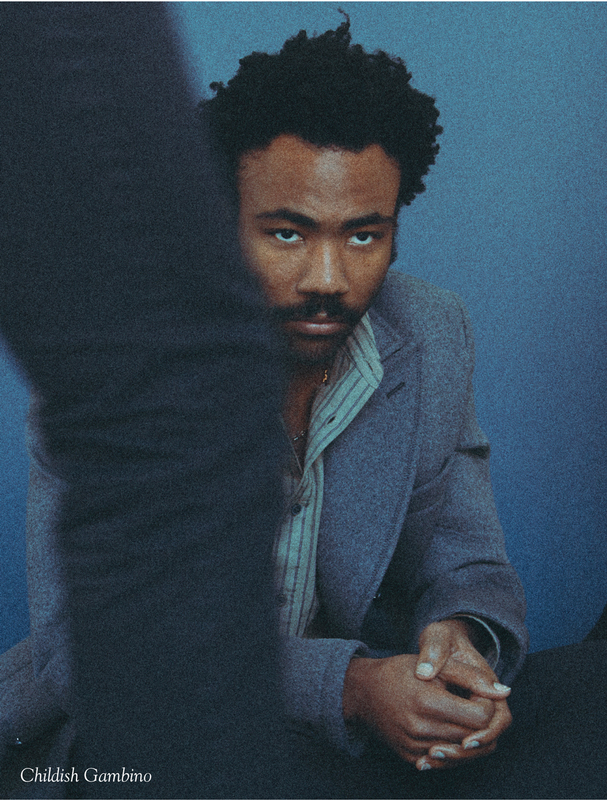 The surest thing is Childish Gambino’s “This Is America,” his timely and provocative social commentary with a must-see video. This would be Childish Gambino’s second nom in a row in this category. He was a finalist last year for “Redbone.” The multitalented performer is vying to become the fifth African-American artist to receive back-to-back noms in this category. The first four were Roberta Flack, Peabo Bryson, Boyz II Men and the mostly black Black Eyed Peas. After nine years of stardom, Drake has yet to be nominated in this category as a lead artist. (He was nominated two years ago as a featured artist on Rihanna’s “Work.”) His luck may change thanks to his smash “God’s Plan,” which was boosted by a feel-good video. Drake owned the charts this year. Historically, most artists who completely dominated a year have been nominated in this category, including The Beatles in 1964, Bee Gees in 1978, Michael Jackson in 1983, Usher in 2004 and Black Eyed Peas in 2009. 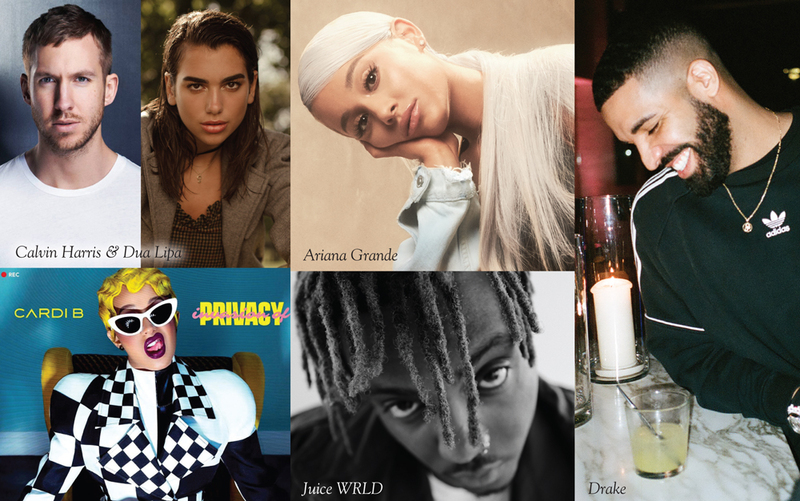 Ariana Grande’s camp entered her current hit, “God Is a Woman,” rather than her previous hit, the stylish “No Tears Left to Cry.” It’s vying to become the fifth Record of the Year nominee for co-producer Max Martin, following Backstreet Boys’ “I Want It That Way” and three Taylor Swift hits. Here are leading contenders to fill the five remaining slots. Three hits from feature films are serious contenders—Kendrick Lamar & SZA’s “All the Stars” from Black Panther, Lady Gaga and Bradley Cooper’s “Shallow” from A Star Is Born and Khalid and Normani’s “Love Lies” from Love, Simon. Any of these would be the first song that was written and recorded for a film to be nominated in this category since Eminem’s “Lose Yourself,” from 8 Mile, 15 years ago. These would be the second noms in this category for two of these six artists. The Weeknd was nominated three years ago for “Can’t Feel My Face”; Lamar was nominated last year for “HUMBLE”; Gaga was nominated nine years ago for “Poker Face.” If “Shallow” is nominated for Record or Song of the Year, it will match the achievement of Barbra Streisand’s “Evergreen” from the 1976 version of A Star Is Born (that ballad was nominated for Record and won for Song). 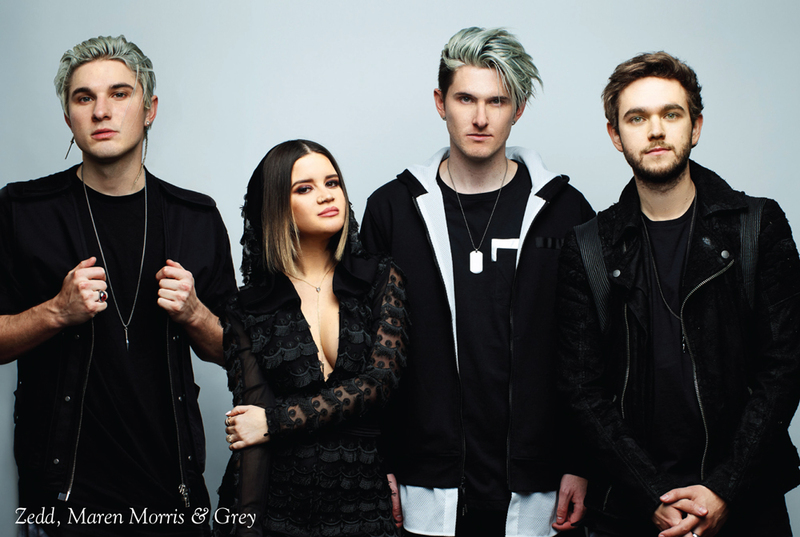 Zedd, Maren Morris & Grey’s “The Middle” was introduced on last year’s Grammy telecast as a two-minute Target ad. If the committee is able to get past the hit’s commercial origins, it’s a winning pop record. Voters will be attracted to the fact that artists from different genres—in this case, EDM and country—came together on the smash. Cardi B, Bad Bunny & J Balvin’s “I Like It” could put some Latin flavor in the finals for the second year in a row. Luis Fonsi and Daddy Yankee’s “Despacito” (featuring Justin Bieber) was nominated last year. 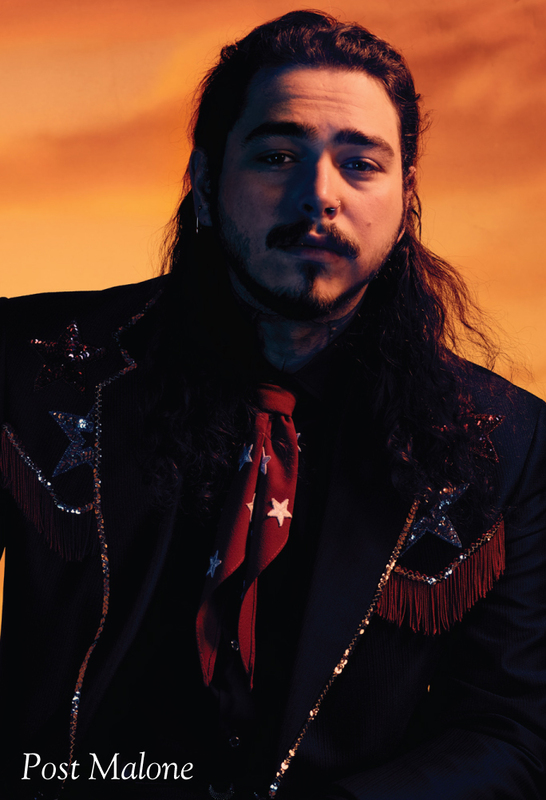 Post Malone’s “Rockstar” (featuring 21 Savage) was Post’s first #1 hit. It’s a good encapsulation of his moody hip-hop sound. Juice WRLD’s “Lucid Dreams” samples Sting’s “Shape of My Heart,” from Ten Summoner’s Tales, a 1993 nominee for Album of the Year. I think it’s a pretty good bet that Ken Ehrlich could get Sting to join Juice WRLD on the Grammy telecast, which would bring artists of different generations and sensibilities together. That’s what the Grammys are all about. Imagine Dragons were nominated in this category five years ago with “Radioactive.” They are in the mix this year with “Natural” (which ESPN is using as theme music for college football games). Imagine Dragons would be the first rock band to make a return trip to the Record of the Year finals since Coldplay 10 years ago. Maroon 5 has yet to be nominated in this category, but their longevity as consistent hit-makers is impressive. The group is slated to headline the half-time show at the Super Bowl one week after the Grammys. Their Super Bowl contract would almost certainly preclude a performance on the Grammys. But a nomination here would put a spotlight on the group right before they headlined that mega-event, which airs on CBS, the Grammys’ network. Maroon 5’s “Girls Like You” (featuring Cardi B) has been #1 the last three weeks, just as first-round voting is set to begin (on 10/17). If Cardi B makes it with both “I Like It” and this hit, she’ll become the first woman in Grammy history with two nominations in this category in the same year. (Pharrell Williams is the only man who has done it.) And it’s not inconceivable that Cardi could have a third single in the running. Keep reading. Bebe Rexha & Florida Georgia Line’s “Meant to Be” was the year’s biggest country crossover hit. But that doesn’t mean a whole lot: The last big country hit to make the finals was Taylor Swift’s “We Are Never Ever Getting Back Together” six years ago. Ella Mai’s warm and melodic ballad “Boo’d Up” is the year’s biggest R&B hit that isn’t hip-hop. Camila Cabello’s chart-topping “Havana” (featuring Young Thug) was entered in this category last year and thus is ineligible here this year. A live version is entered this year. The live version may well be nominated for Best Pop Solo Performance, but the Nominations Review Committee (which has the final say in the Big Four categories) has been cool to live and alternate versions of hits. Live versions of Train’s “Hey, Soul Sister,” Adele’s “Set Fire to the Rain” and Pharrell Williams’ “Happy” were passed over for Record of the Year noms, though all three won performance Grammys. Cabello, of course, is a former member of Fifth Harmony. A current member of that group, Normani, is in the mix with the aforementioned “Love Lies,” a collabo with Khalid. To date, the only all-female group with two members or former members who went on to Record of the Year noms as solo artists (though not in the same year in their case) is Destiny’s Child. Calvin Harris is in contention with “One Kiss,” a collabo with Dua Lipa, and “Promises.” Harris would be the first EDM star to rate a nom in this category since Daft Punk won five years ago for “Get Lucky” (featuring Pharrell Williams and Nile Rodgers). XXXTentacion’s rap ballad “Sad!” surged to the top following his death in June. It’s vying to become the first track to receive a posthumous Record of the Year nom since Ray Charles’ “Here We Go Again,” a collabo with Norah Jones, 14 years ago. Shawn Mendes’ soul-baring “In My Blood” is his most mature-sounding hit to date. Justin Timberlake featuring Chris Stapleton’s “Say Something” marked a reunion of the two stars who first teamed so memorably on the CMAs in 2015. This would be Timberlake’s fourth nom in this category; Stapleton’s first. Here are a few more possibilities: Bazzi’s “Mine,” 5 Seconds of Summer’s “Youngblood,” NF’s “Let You Down, Janelle Monáe’s “Make Me Feel,” Marshmello & Anne-Marie’s “Friends” lovelytheband’s “Broken” and MAX’s “Lights Down Low” (featuring Gnash). Dua Lipa’s smart and stylish “New Rules” and Sam Smith’s “Too Good at Goodbyes” aren’t eligible because they, like “Havana,” were entered last year. (I hate it when that happens!) A live version of “New Rules” is on the entry list, but, as explained above, it will have an uphill fight getting nominated. Ed Sheeran & Beyoncé’s “Perfect” was ruled eligible, though Bruno Mars & Cardi B’s “Finesse” was not. Both songs originated (as solo recordings) on albums that won Grammys last year. If “Perfect” is nominated, it would be Sheeran’s second nom in this category; Beyoncé’s sixth, which would set a new record for the most nominations in this category by a woman. Beyoncé is currently tied for that record with Barbra Streisand. So what will the nominees be? I’ve arranged my picks here in alphabetical order by artist, just as the Recording Academy will present them on Dec.5.